Don’t you just love it? An ADHD patient was (finally) doing really well on 20mg of medicine in the AM, plus 10mg in the afternoon. It took months to fine-tune the correct medication, dose, and timing. Everything was going well and then the insurance company intervened with the following ‘recommendation’ from their protocol committee, “Change the medication to the generic form, change the dose to different dose (either a lower or increased amount) of a long-acting formulation, and therefore change the timing.” Of course, the parents don’t HAVE to change what was working, the company just won’t pay for the therapy to be delivered that way. Thank you, NoGo Insurance Company. Your complicated explanations are neither welcomed, nor helpful. In fact, such a recommendation creates extra work for the family and physician, and chaos for the patient. Often, costs go up as we try to adjust to the new meds. The money that gets saved is because of deals that the company had cut with the drug maker. How about negotiating with pharmaceutical manufacturers so that the patient gets to take the medications that are already effective? This is a uncomplicated example of a single medication given for ADHD. You can imagine, therefore, the complex decisions that are involved in patients with ASD. There are the determinations about which therapies to fund, what meds are required, which doctors to reimburse, and the educational environment. The autism epidemic has created an entirely new set of circumstances about which the insurance companies know NOTHING. However, they continue to operate with the same set of rules and in the same universe as conventional pediatric care. One study reported “It can cost about .2 million to take care of an autistic person over his or her lifetime. Caring for all people with autism over their lifetimes costs an estimated billion per year.” A summary of how individual states handle services can be found here. Perhaps surprisingly, the therapy that my patients are least likely to utilize is ABA, which has been proven to help. Even though it is part of the allowed treatment options in selected states, companies apparently balk at payment, by providing few baseline dollars. The combination of biomedical and traditional therapy is a powerful solution that can significantly reduce the time that it takes for children to recover, or at least become mainstreamed. The well published >$40,000 per child per year EXTRA that it takes to care for a child on the spectrum equals $200K for 5 years. Therefore, we must make the diagnosis as early as possible – before 3 years – and not “wait ’til the child is older”. Most children could be mainstreamed by 8 years and that could save hundreds of thousands of dollars (over a lifetime) with a superior outcome. There are two major reasons why the paucity of insurance coverage presently exists. First, the insurance company doesn’t really pay much attention, because the epidemic is so new and they haven’t historically covered any amount – so they don’t see the savings. 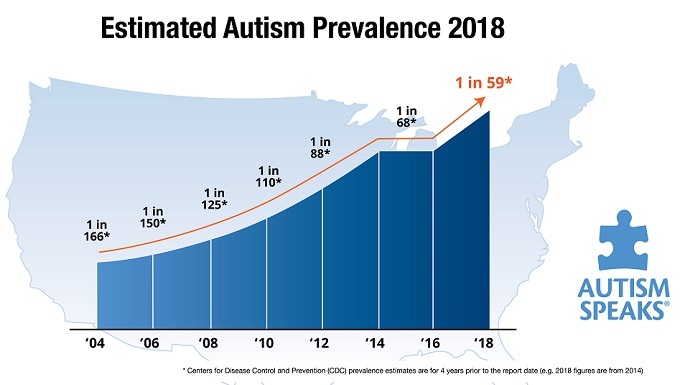 Second, the conventional medical community is still arguing whether there even IS an epidemic, whether ASD is a genetic condition, whether this condition is treatable, and whether the patient can recover. You want best practices? Use the work of Dr. Martha Herbert, Dr. Doreen Granpeesheh, The University of Washington, Dr. Richard Frye, and Columbia University’s Dr. Michael Gershon. We need a new paradigm, and that starts with pediatricians, neurologists and psychiatrists understanding that kids can get better – as reported in the recent literature. Most of us won’t have access to the powers-that-be in health insurance companies and get them to listen and cooperate. But doctors, if you can’t help us, please stay out of the way. This entry was posted on Tuesday, February 26th, 2013 at 11:25 am	and is filed under >ALL<, AD/HD, Alternative and Complementary Medicine for ASD, Asperger's Syndrome, Autism Therapies, Diets, Earliest Red Flags, Gastrointestinal Issue, Patient experiences, Reversing autism, Sensory issues, Speech and Language. You can follow any responses to this entry through the RSS 2.0 feed. You can leave a response, or trackback from your own site. So sad.. My insurance covers none of it. Nothing. Even your visits are merely a drop off the annual deductable. barely worth claiming & I pay a good penny for insurance too. (well, at least I know if there is a broken bone or stitches needed, insurance will help) but not where I need it the most. Yeah, it’s going to take some major movement to get things going… like, say, someone who heads an insurance company or a senator with an autistic family member. There seems to be little assistance coming from the conventional medical establishment or the media, yet.